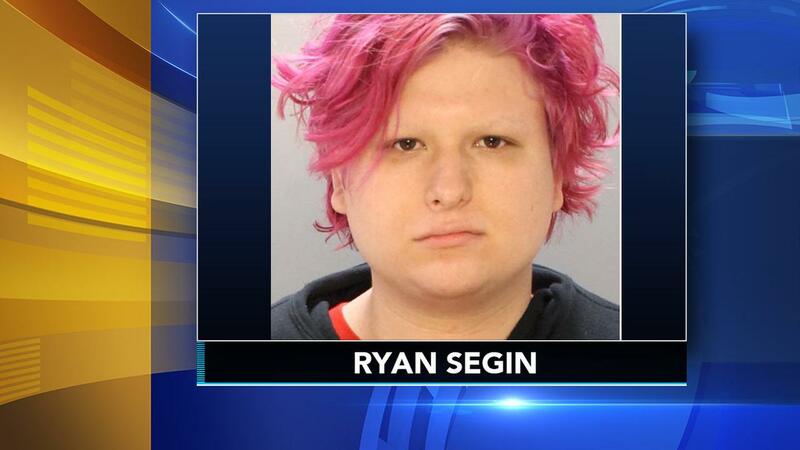 A woman was arrested after she allegedly tried to set a ‘thin blue line’ style American flag on fire while in a crowd gathered for the Philadelphia Pride Parade on Sunday. Ryan Segin, 18, was arrested shortly after 12 p.m. at 12th and Locust. Video from the Action Cam shows police taking her into custody. Segin is seen wearing a black hoodie with a bandana over part of her face. After she is taken away, officers could be seen collecting a flag, described as a ‘thin blue line’ flag with black, white and blue stripes, along with flammable paint stripper. “The lady was about to burn a flag in the middle of a crowded area, so the cops had to detain her,” a witness told Action News. Segin, a resident of Woodbine, New Jersey, was charged with attempted arson, risking a catastrophe and related offenses.